I find it bizarre that women spend heaps of money on ‘miracle’ skin-care and things like collagen drink to preserve their youth, but pay little regard to their food and mental health. Isn’t it a universal fact that junk food and stress hasten aging? Besides, we can get collagen, and a lot of other minerals, from inexpensive animal bones. Being beautiful doesn’t have to be costly. 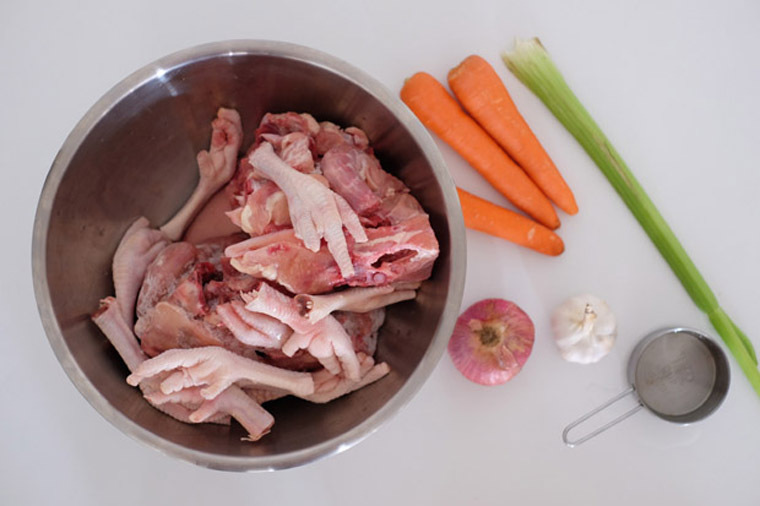 Step 1 TO PREPARE: Rinse chicken carcasses, bones and feet thoroughly. 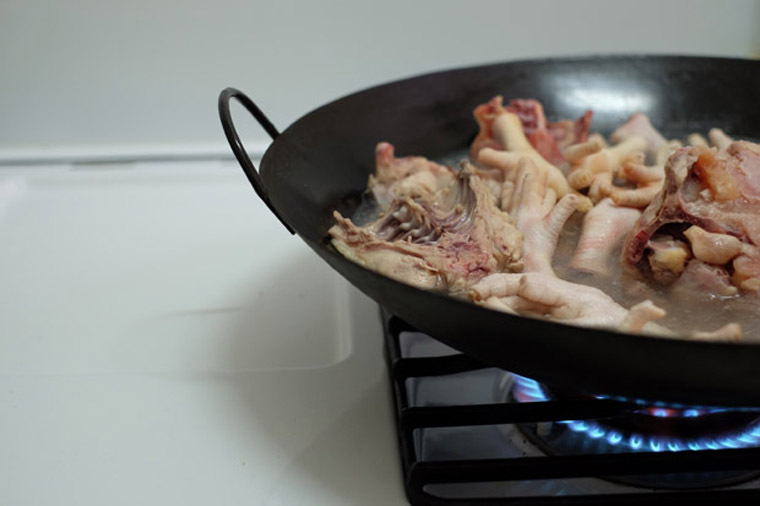 Boil water in a wok, chuck chicken parts in it and simmer for 5 – 10 minutes to remove its gunk. 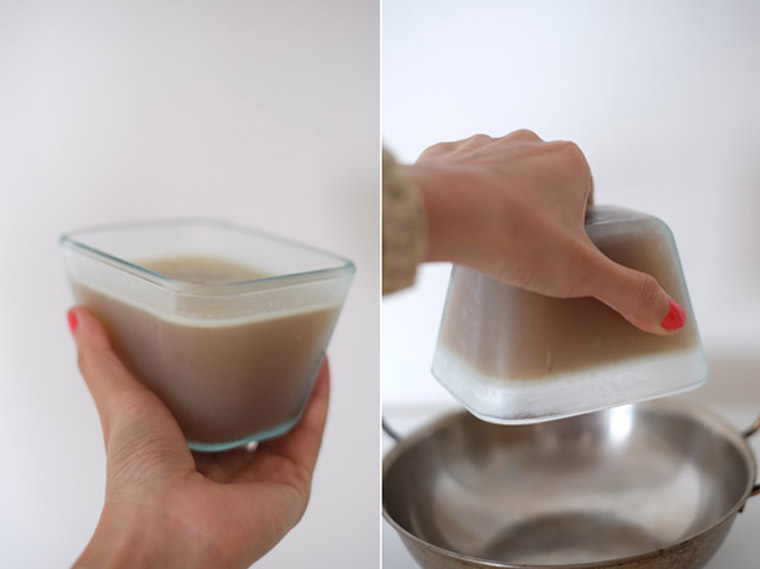 Remove the chicken parts into a large bowl and rinse chicken in cold water. Peel and roughly chop carrots and onions. Clean vegetables, and preferably soak in homemade veggie wash. Separately, place the chicken parts into a slow cooker, add vinegar and let stand for 30 to 60 minutes. Step 2 TO MAKE BROTH: Add cold filtered water into the slow cooker, bring to a simmer and spoon off gunk that rises to the top. Add vegetables (carrots, celery, onion and garlic). Slow boil for 12 hours. Step 3 TO USE/ STORE: Remove bones and feet with tongs/slotted spoon/strainer. Strain the broth through a fine-mesh strainer into a large bowl/pitcher/pot. 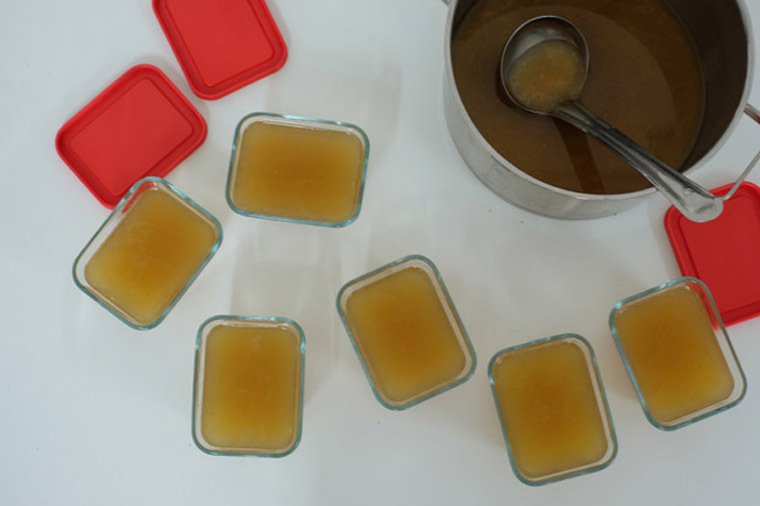 Transfer broth into freezer friendly container(s). Cover and store in the fridge up to 5 days or freezer for many months. Blanch chicken carcass and feet in hot water & rinse. Toss chicken and 1/2 cup rice vinegar into slow cooker. Let is stand for 1/2 – 1 hr. Pour in filtered water. Simmer and remove gunk. Add vegetables. Slow boil for 12 hours. Strain broth into a large pot. Blanching chicken is very important to remove the scum. This will ensure a clear and beautiful stock. If you don’t have a slow cooker, use a stock pot. Instead of 12 hours, simmer for 6 hours. Ensure that bones remained covered. Add more water if need be. Although the recipe calls for apple cider vinegar, you can use other easily available vinegar such as rice vinegar. Small amount of it will not affect the taste of your broth. The real function of vinegar is to help extract minerals from the bones and vegetables. The original recipe suggested the fats to be removed and keep for cooking. I think it’s unnecessary. 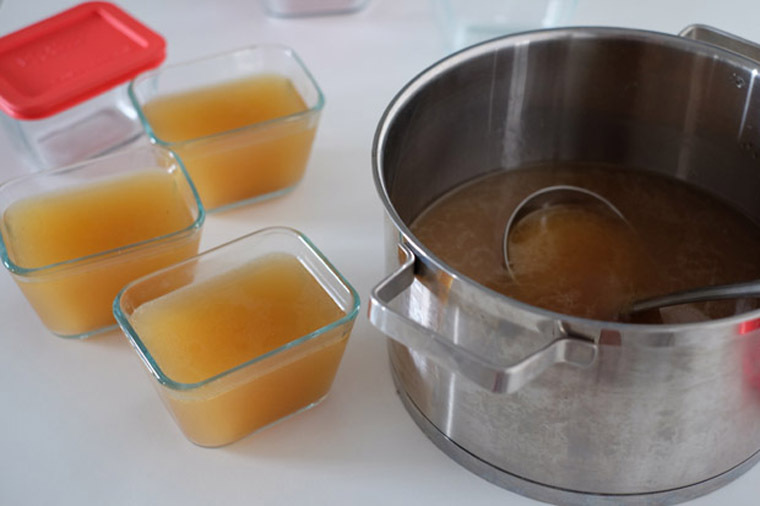 But if you would like to do it, cool strained broth to room temperature, refrigerate uncovered for a few hours until the fat rises to the top and congeals. Skim off the fat and keep for cooking. You can also make this broth without any vegetables. I do that often as I do not want the added flavour to affect the taste of the myriad dishes I make e.g this stock may not be suitable to make imitation sharkfin soup. 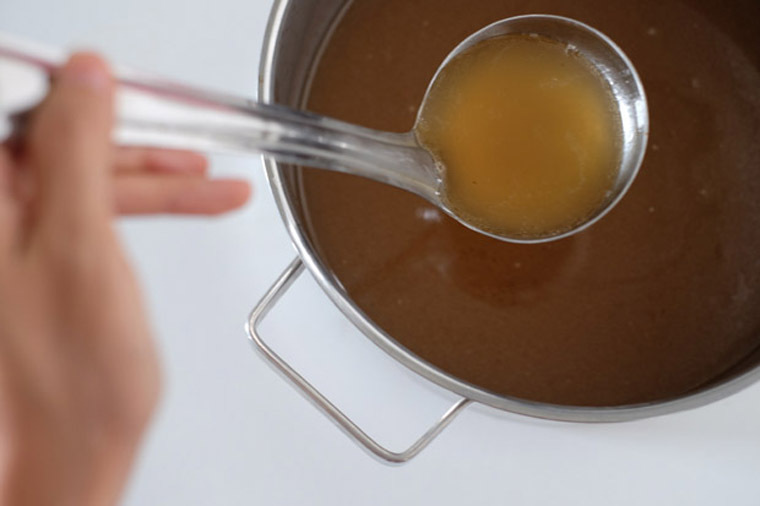 Have you incorporate bone broth into your diet?